A man has been charged with attempted murder in connection with the shooting of a 17-year-old boy in Nottingham. The teenager suffered chest and hand injuries after being shot at the junction of Ireton Street and Portland Road in Radford on 29 June. Kieron Saunders, of Cardale Road, Nottingham, has also been charged with possession of a firearm with intent. 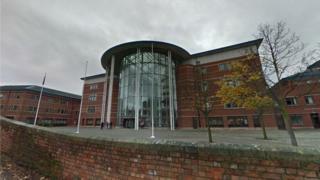 The 30-year-old will appear at Nottingham Magistrates' Court on Wednesday, police said.